Mark Edwards, Jerry Underwood, Martin Klute, Dave Trigwell. 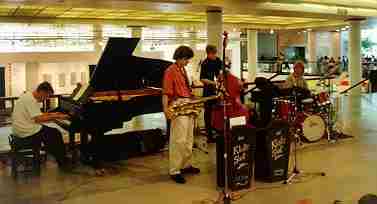 The Martin Klute Quintet was formed after Martin Klute left the Tommy Chase Quartet. The band plays at club venues in and around London, and also for private and corporate events. Note: Most computers have an mp3 player installed by default, which should start automatically if you click the mp3 arrow. The engineer was Colin Walker of Clarion Studios in Brighton.